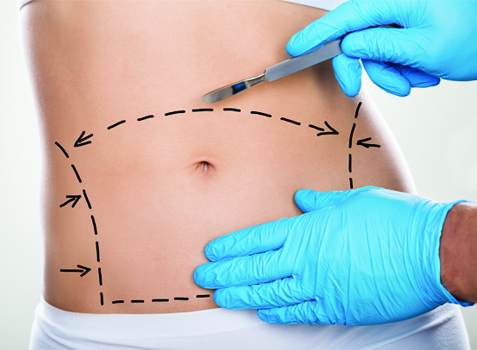 Tummy Tuck or Liposuction – Which Cosmetic Surgery Is Right For Me? A common misconception amongst patients considering cosmetic surgery of the abdominal area is that the choice exists to have either a tummy tuck or liposuction and that either of these two procedures will produce similar results. In most cases, a patient is a far better candidate for either a tummy tuck or liposuction and the procedures are not interchangeable. the skin rests, i.e. the underlying fat thereby leaving even looser skin than the patient started with.